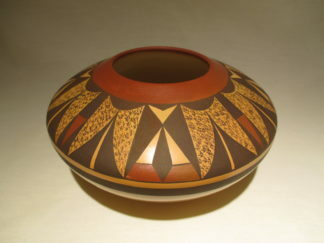 Impressive Large Hopi Pottery by Fawn Navasie (‘Little Fawn’). This is an excellent large seed pot. Well balanced with a very attractive painted design. Please watch the quick video!